Thumbay Hospital – Fujairah, the leading academic hospital under Thumbay Group’s Healthcare Division organized a week-long diabetes awareness campaign from 10th to 17th November 2017, with a series of activities aimed to spread awareness on diabetes and emphasizing the importance of physical activity in safeguarding against the disease. 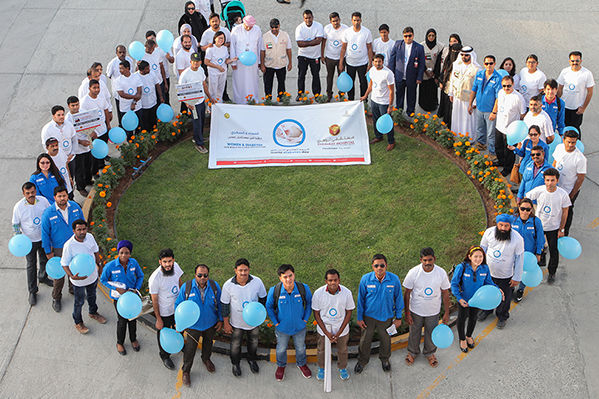 The campaign was launched as part of the hospital’s World Diabetes Day celebrations. As part of the campaign, Thumbay Hospital – Fujairah participated as a medical support partner in the Harvesting Event at the Orthodox Church, Fujairah and offered free basic health check-up for all the attendees of the event, spreading the message of diabetes awareness. The hospital also organized a series of health talks across corporate companies, including an enlightening talk by Dr. Dileep Kumar, Nephrologist, on the topic ‘Diabetes & Kidney’ on 14th November, at a labour camp. 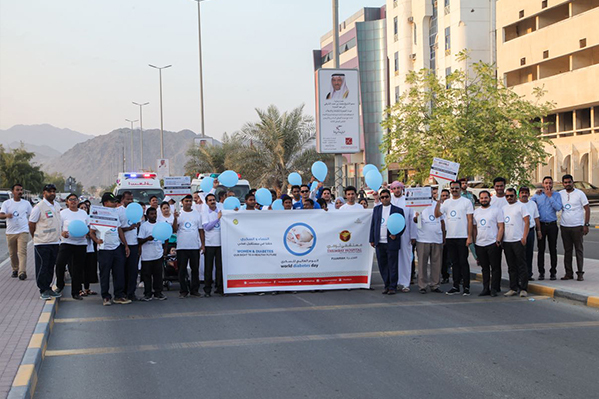 The highlight of the hospital’s diabetes awareness programs was the walkathon organized with the support of Fujairah Police, which was highly effective in educating the public and inspiring them to find ways to adopt active lifestyles, for a healthier future. 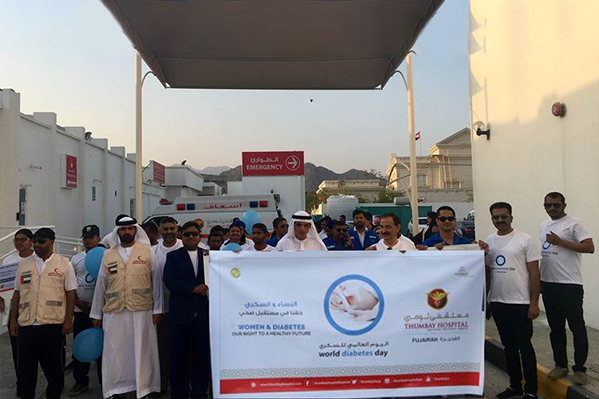 The Management of Thumbay Hospital, Fujairah confirmed that the hospital has plans to conduct more awareness activities focused on women’s health across organizations in the Emirate, in line with World Diabetes Day’s official theme this year; ‘Women & Diabetes’.